Marine Mammal Commission offices in Bethesda, Maryland. Please visit our Meet the Commission page for a list of all Commission staff and e-mail addresses. To learn more about the Commission and our work, sign up for our e-newsletter and follow us on Twitter. 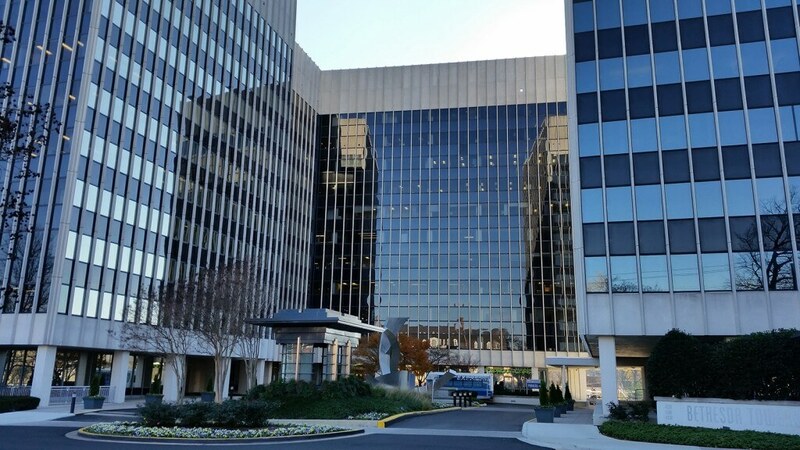 If you are visiting the Commission’s offices in Bethesda, Maryland, both street and garage parking are available. Street parking is limited, however, short-term metered parking is available on nearby cross streets. See map for Bethesda public parking. Limited parking is available on an hourly basis in the parking garage at the Commission’s offices in Bethesda Towers. Payment must be made by credit or debit card. Access to the garage is available from 7:00am to 7:00pm, Monday – Friday, except holidays. Certain areas of the garage are designated Reserved Parking. Please do not park in these areas, as ticketing and towing is enforced. Metered parking is also available at the Montgomery County Public Parking Garage #47 (Waverly Garage). This parking garage is located approximately 2 – 3 blocks from the Commission’s offices. Entrances to the Waverly Garage are located on Waverly Street and Montgomery Lane.